Directed by Frank Miller. 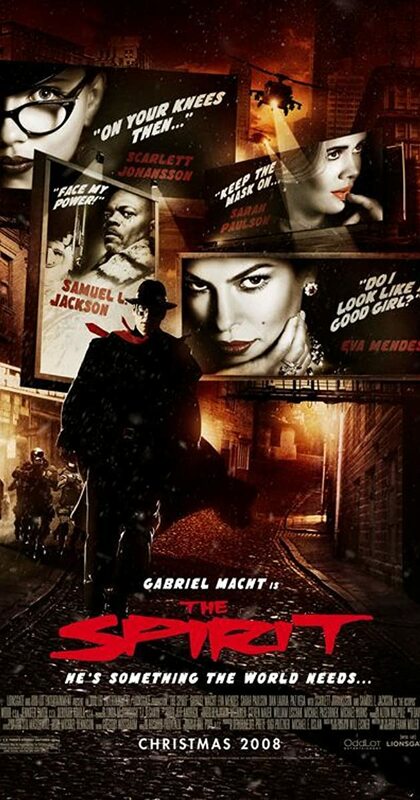 With Gabriel Macht, Samuel L. Jackson, Scarlett Johansson, Jaime King. Rookie cop Denny Colt returns from the beyond as The Spirit, a hero whose mission is to fight against the bad forces in Central City.